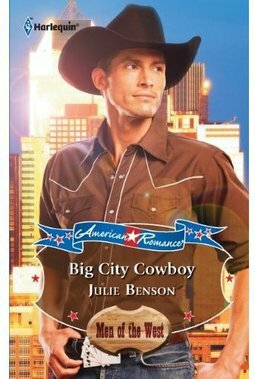 The idea for Big City Cowboy came to me when I went on a horseback riding tour in Estes Park, Colorado. (You can see pictures of me on the trail on my Estes Park Series page.) My family and I had come to Estes Park for a wedding. Since I’ve always loved horses, I wanted to go horseback riding.While one of the cowboys was helping my middle son, a man approached him to ask him if he’d ever considered modeling. The cowboy politely took the gentleman’s card, stuffed it in his pocket, turned to my son and said people often asked him to model. He couldn’t understand why people didn’t get it when he said he wasn’t interested. My writer’s brain went into overdrive. I knew why people wanted this cowboy to model. He was gorgeous and had a presence that all real cowboys have. It’s just something. I mulled over the idea for a long time. Years, actually, while I wrote various romantic suspense novels I couldn’t sell. Thankfully this cowboy wouldn’t let me forget him. What could make a cowboy leave the ranch to model? He’d have to be in dire straits and out of options. I thought of the ranch being at stake, but that seemed cliche. I went further. Money was tight. What else could he need money for? Something that he’d do literally anything for? What does a cowboy love other than his horse? His mother, and I knew I’d hit on something. His mother needs the money for an experimental, not covered by insurance, cancer treatment. A true hero would do anything for to help his mom beat cancer. Then I threw in a driven city woman whose career would rise or fall with this cowboy’s success, and the result was Big City Cowboy.